While playing one of the classic games in the beloved The Legend of Zelda franchise, who hasn’t wanted to step through the screen and experience the exploration, adventure and puzzle-solving in real life? 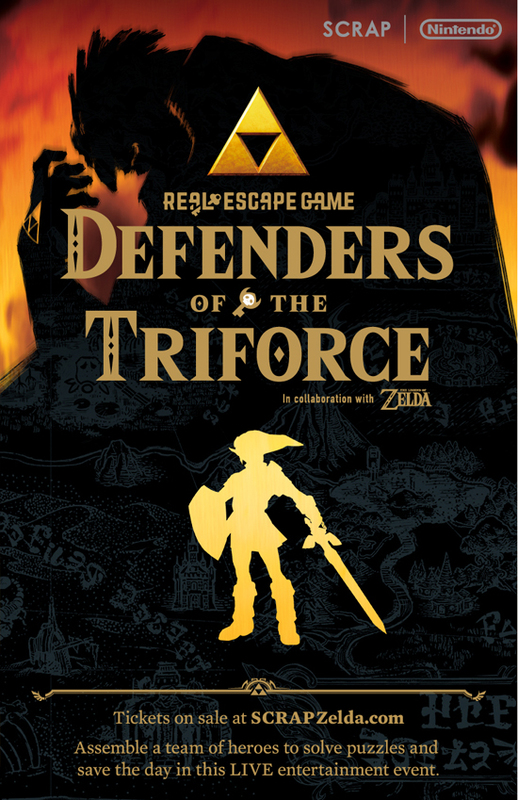 With “Defenders of the Triforce,” that dream can become a reality. Nintendo has partnered with SCRAP, the renowned designers of many popular escape room experiences, to bring a unique multi-city Puzzle Tour inspired by The Legend of Zelda series to Europe. After a sold-out tour spanning 15 cities across the US and Canada, the “Defenders of the Triforce” Puzzle Tour will be coming to four cities in Europe this summer including London - July 14 -16 at Islington Assembly Hall. While the words “escape room” might come to mind when describing this new experience, “Defenders of the Triforce” is so much more than that. Instead of escaping from a locked room, participants work in teams of six to solve a mystery in a huge area, all within a set time limit. The experience will let guests interact with classic items and characters seen in The Legend of Zelda series like the Goron, Zora and Kokiri tribes. The items can be used to solve puzzles and move forward into other areas, just like in The Legend of Zelda games. After completing the main puzzle experience, attendees will enter an area with amazing photo opportunities. The game gives players an unprecedented level of freedom as they assume the role of Link and explore, battle and survive in the vast world of Hyrule.